Escape from Planet Earth. From the same production company that brought you Hoodwinked, here is the trailer for the animated adventure entitled Escape from Planet Earth. Releasing in theaters on February 14, this film (featuring the vocal talent of Brendan Fraser, Sarah Jessica Parker, James Gandolfini and more) is about an alien astronaut who gets into trouble and needs help after a trip to an “alien” planet called “Earth” goes wrong. A Dark Truth. When a horrible truth that is covered up begins to be exposed the possible consequences look bleak. In order to cover it up A former CIA operative-turned-political talk show host is hired by a corporate whistle-blower to expose her company’s cover up of a massacre in a South American village. Kevin Durand, Forest Whitaker, Andy Garcia, Eva Longoria and more star in this January 4 release. Side Effects. Channing Tatum (Haywire) and Jude Law (Contagion) reteam up with director Steven Soderbergh in this thriller that also stars Catherine Zeta-Jones (Traffic) and Rooney Mara (The Girl With The Dragon Tattoo). A woman, anxious about her husband’s return from incarceration, turns to prescription meds to deal with it…only the side effects are less than desirable. Check out the trailer and look for the side effects to begin on February 8. GI Joe: Retaliation (int’l trailer). This third trailer shows more action, more dialogue, more Tatum. I was hoping for this one to be released in August2012, but its pushback has me concerned. Tatum, Dwayne Johnson, Ray Park, Adrianne Palicki, Bruce Willis, RZA, Ray Stevenson and more hope to bring Joe to audiences in an impressive way on March 29, 2013. Lincoln (int’l trailer). Probably the best trailer so far for this next Steven Spielberg film. Daniel Day-Lewis stars as the 16th American President who fights to see the 13th Amendment passed and bring unity to a country so divided. Lincoln also stars Tommy Lee Jones, Joseph Gordon-Levitt, Sally Field, Jared Harris and more, and releases in theaters nationwide on November 16. The Last Stand (trailer#2). This 2nd trailer for Arnold Schwarzenegger’s upcoming action film shows a little bit more of what to expect in this story about a sheriff in the last town between an escaped member of the Mexican drug cartel and fugitive freedom. Let’s hope Arnold’s last stand turns out better than General Custer’s did. Be ready to sit down and watch The Last Stand on January 18. With the first official trailer only a few hours away from launching, here is the first teaser look for World War Z, which is the Brad Pitt-starring zombie flick that was supposed to be in theaters this December. It got pushed back to June 21, 2013. Sound familiar? Man of Steel ALSO got pushed back from December 2012 to June 2013. The new trailer will hit the web later this afternoon. COME BACK! I will update this page and have it here for you to watch as soon as I can after it is available. What do you think? Are you ready for the zombiepocalypse?! Check out the OFFICIAL MOVIE PAGE. 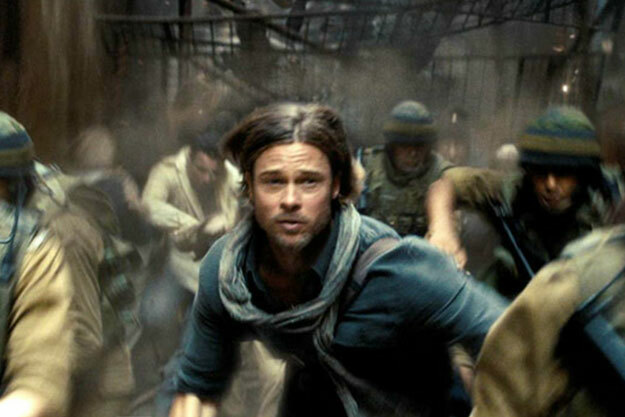 UPDATE: As promised, here is the 1st official trailer for World War Z. My favorite trailers from today: Lincoln, The Last Stand and Escape from Planet Earth. Which ones are your favorites?? Limited Release: Lincoln, Nature Calls, A Royal Affair and more. Also, DON’T forget! The polls are open all the way through early Tuesday morning to vote for one of the most important/fun Time to Vote Tuesdays of the year. 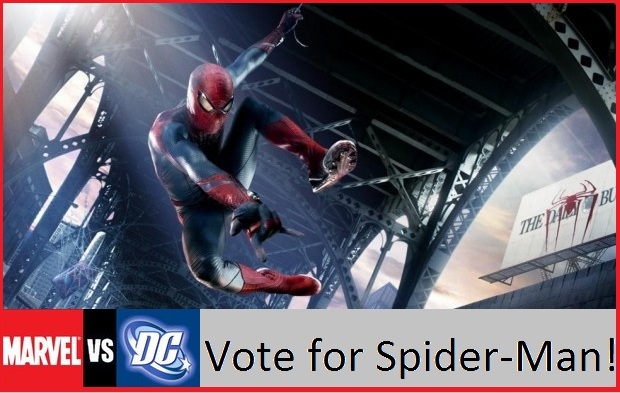 Please be sure to vote and PLEASE share it with your friends on your website, twitter, facebook and more! The political parties are Marvel and DC and the race for the Oval Office never looked closer! I can’t wait to see Lincoln. Daniel Day Lewis is always incredible in his roles. Man. Lincoln looks so fantastic. It really seems that the better movies are coming out in the final quarter of the year doesn’t it? The ‘World War Z’ effects look awful! I hope that changes when the film releases. Seriously. World War Z excites me beyond words! I just hope it looks better in the final cut. Not sold on the CGI at this point. But I am a fan of zombie stuff so…here’s hoping Pitt can sell it! I’m still excited about Arnold coming back. I am interested in seeing exactly how he does myself. Most of his roles look the same, and they mirror a lot of his pre-political roles. added to his reprising the role of Conan, look for tons of fun from Arnold soon!